Lime Sherbet Punch is the perfect St. Patrick’s Day punch to celebrate the holiday. 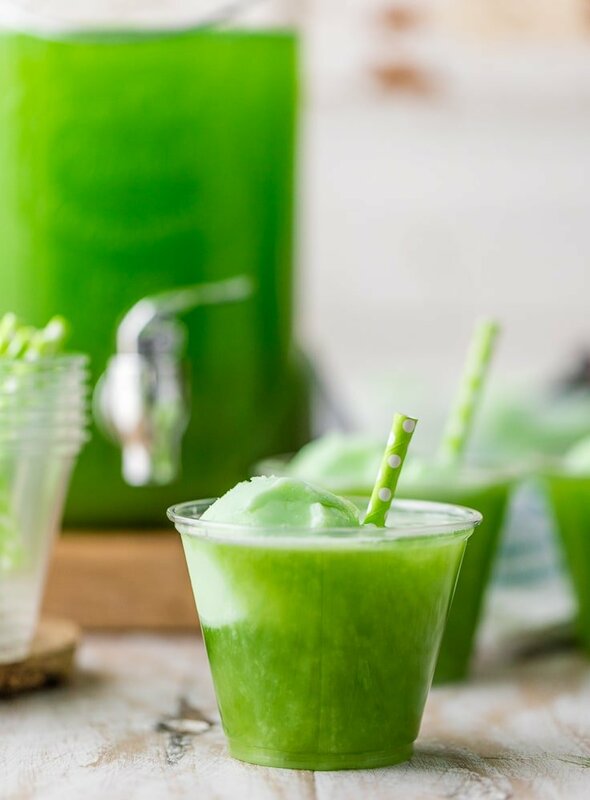 This fun green punch can be made as a cocktail or as a non-alcoholic St. Patrick’s Day drinks recipe. It’s the perfect sherbet punch for a crowd! Everyone needs the perfect GREEN St. Patrick’s Day drinks to celebrate the holiday. This lime sherbet punch recipe is the perfect color and the perfect flavor! This is going to seem like a bold statement, but I think sherbet should be a part of every single drink. Iced tea? Add some peach sherbet. Soda? Sherbet. Holiday punch? Definitely add sherbet. Am I right? It’s just so good and refreshing. Not to mention it makes some adorable drinks! 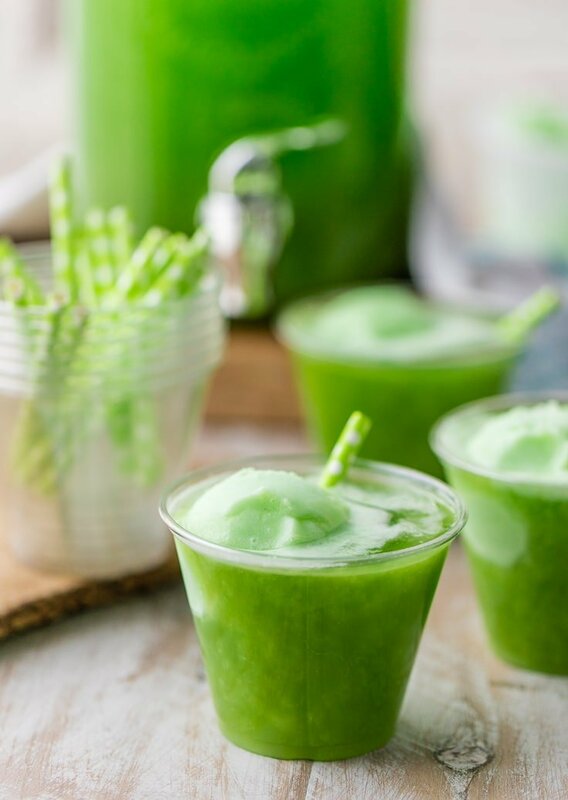 This super easy and super GREEN St. Patrick’s Day drink is everything you need to celebrate the holiday in style. I mean, what would St. Patty’s Day be without some green punch? And of course it has the perfect green flavor, aka LIME. How? It’s a lime sherbet punch! You didn’t think I was talking about sherbet for nothing, did you? Make this St. Patrick’s Day punch with or without alcohol, so both kids and adults can enjoy it. It’s fun, it’s festive, it’s pretty, and it’s so delicious! What more can you ask for from a party punch? Celebrate St. Patrick’s Day the right way with this green St. Patty’s Day punch! Lime punch with lime sherbet? Perfect! You can celebrate the holiday with all the foods you want, but it’s nothing without the perfect St. Patrick’s Day drinks! Drinks are what it’s all about, after all…right? Cocktails OR mocktails, either one. 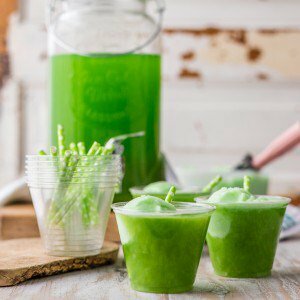 You just need a green punch filled with flavor. This lime sherbet punch is exactly why I love St. Patty’s Day. It’s okay to be loud with your love of green. I have red hair and pale skin, so I LOVE GREEN. It’s my favorite color for cocktails and clothing! I love this punch recipe because it can be made as an alcoholic punch for adults or without alcohol for everyone. But I have some other favorite St. Patty’s Day drinks too. 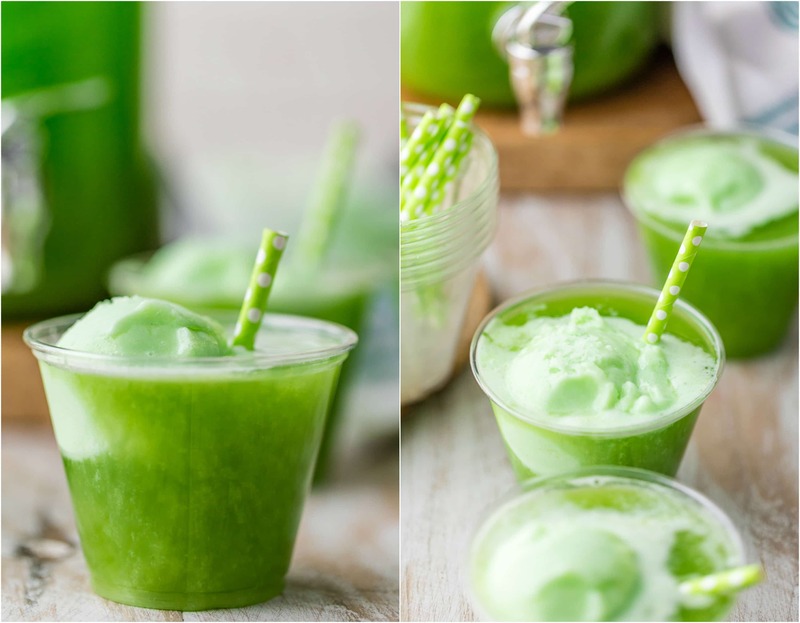 Like this Green Mint Vanilla Milk (aka Leprechaun Milk), or a healthier version of a fast food favorite: the Shamrock Shake! And of course you can’t go wrong with some Homemade Irish Cream. Whether you’re making this drink for St. Patrick’s Day, or making it for any other party or holiday, you’re going to love this lime sherbet punch. It’s so easy to make and it has the best flavor! All you need is Kool-Aid lemon lime powder mix, ginger ale, pineapple juice, water, and lime sherbet for serving. Stir together the water, ginger ale, Kool-Aid mix, and pineapple juice. You can make this in a large punch bowl, or separate the recipe into two pitchers. Now just add the lime sherbet, either directly in the punch bowl, or into individual cups as you serve it. And that’s…literally all there is to it. 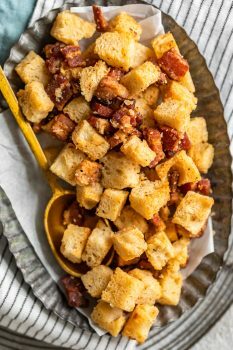 Such a simple to drink to throw together for the holidays or parties. I love the way the pineapple juice balances out the flavor of the lime to create something sweet, with just the right amount of PUNCH. Of course, if you do want to turn this into an alcoholic party punch, just mix in your preferred liquor with the other ingredients. Lime Vodka works a charm, but regular old vodka will do in a pinch (please say you’re all appreciating the puns). For family parties, I like making half with alcohol, and half without. Everybody wins! 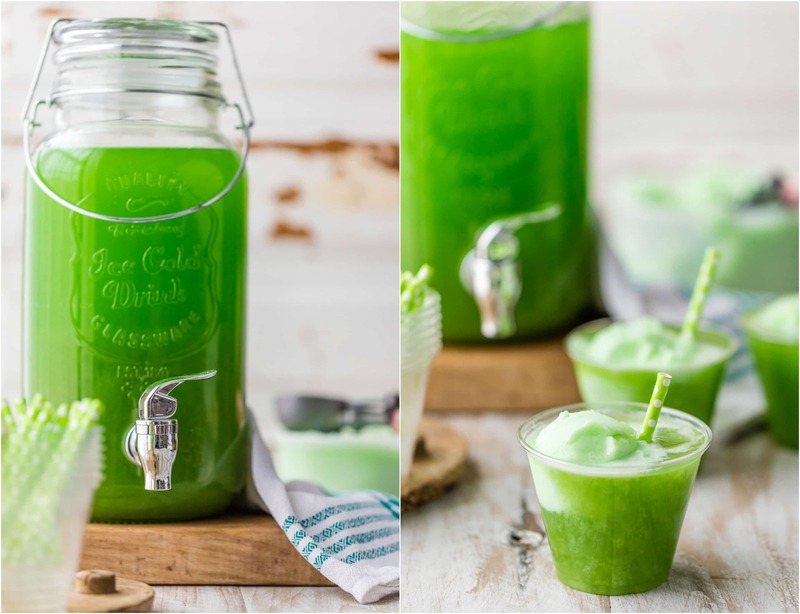 So wear your green all over with this green St. Patrick’s Day Punch. This holiday is all about fun, and this is SO fun! I think the new rule should be: pinch anyone that isn’t drinking this sherbet punch. Who’s with me? 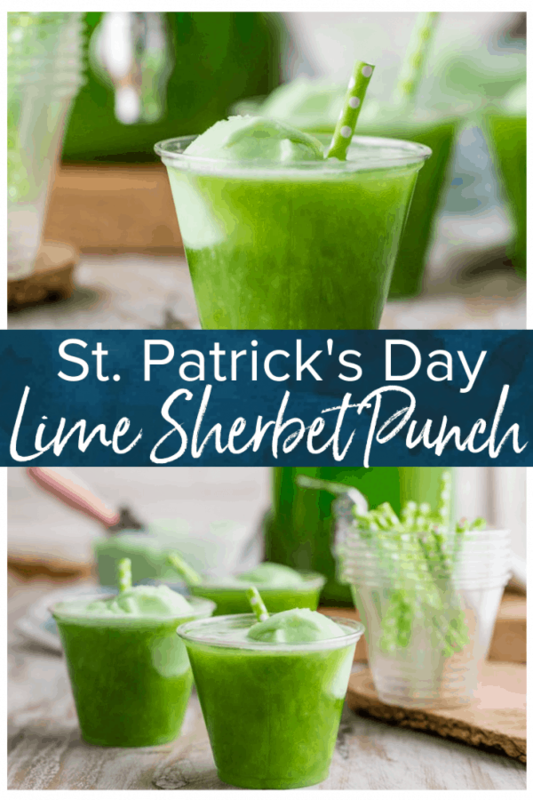 See the recipe card for details on how to make Lime Sherbet Punch, the perfect St. Patrick’s Day drink. Enjoy! Lime Sherbet Punch is the perfect St. Patrick's Day punch to celebrate the holiday. 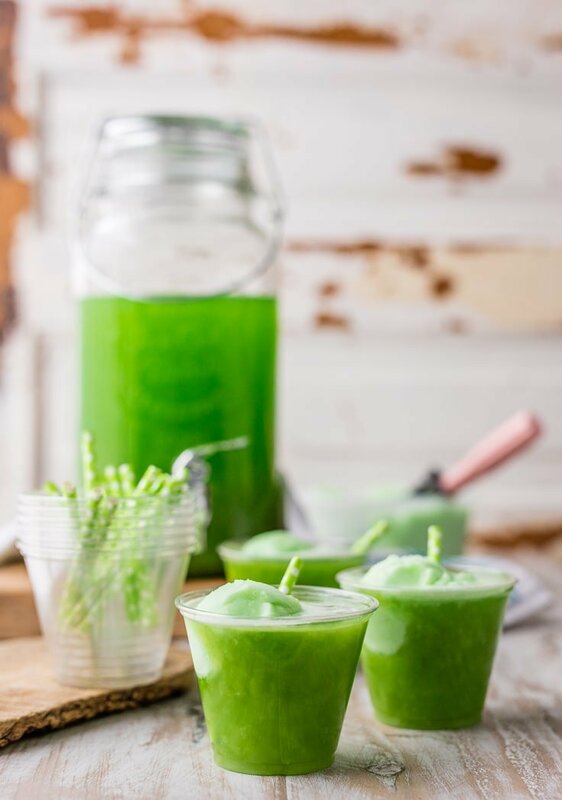 This fun green punch can be made as a cocktail or as a non-alcoholic St. Patrick's Day drinks recipe. It's the perfect sherbet punch for a crowd! Haha, this is so you! I love the vibrant colour!! Seriously, my daughter will love this! You’re so right that St. Patrick’s Day is just all about the fun! I love another excuse for a party! And this pretty punch is like a party in a cup! 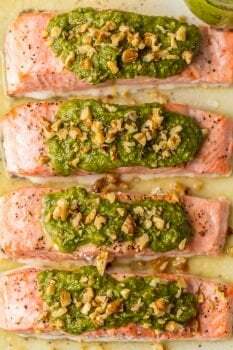 So easy, too – perfect to throw together at the last minute! You have a point. Sherbet DOES make all drink prettier and tastier! I vote we start a sherbet movement! This green drink looks delightful! This is so fun! Love the color so much. I love the ingredients in this! It sounds amazing! Lime sherbet has been a favorite ever since I was a kid, and I’ll bet my own boys would love this punch! Looks fantastic. Any suggestions for what alcohol to add if we wanted to make an adult version? My exact question! Any suggestion on the alcohol? I like to use Lime Vodka in it!! You could use plain as well and it would work just fine :) Hope you love it! I would use a 1/2 cup, taste, and add more if needed/wanted. Enjoy! My kids are going to love this Sherbet Punch recipe! Thanks so much for sharing! We mixed up a batch today and my kids loved it! I can’t wait to make it again! A fun beverage the whole family can enjoy!